This workshop will introduce you to working with crystals for healing and harnessing their powerful energies to assist in making changes to your life. 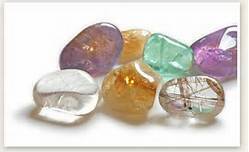 You will also learn about crystal essences for healing, health, wellbeing and beauty. £40.00 per person including refreshments. £10.00 deposit required to secure your booking. Limited numbers.